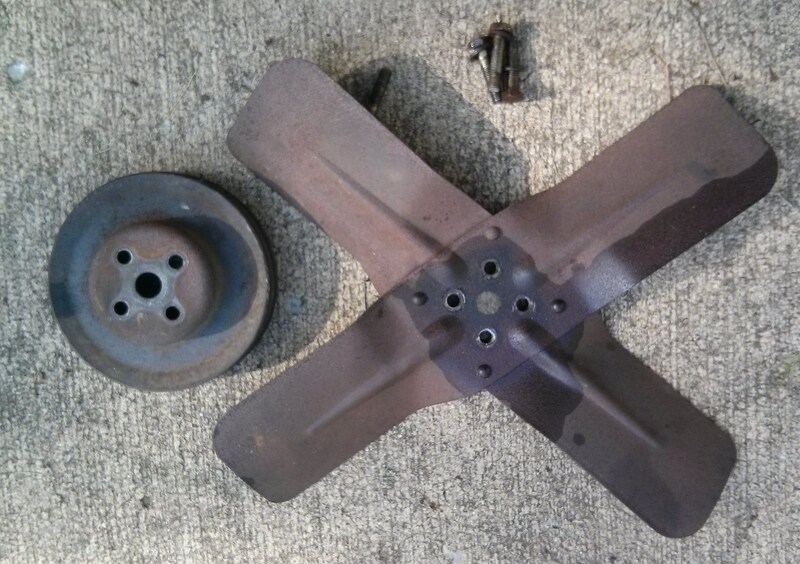 I am in a bit of down time waiting on parts so I decided to go ahead and clean up some rusty metal. With the radiator out of the way it seemed a good time to tackle stuff on the front of the engine. 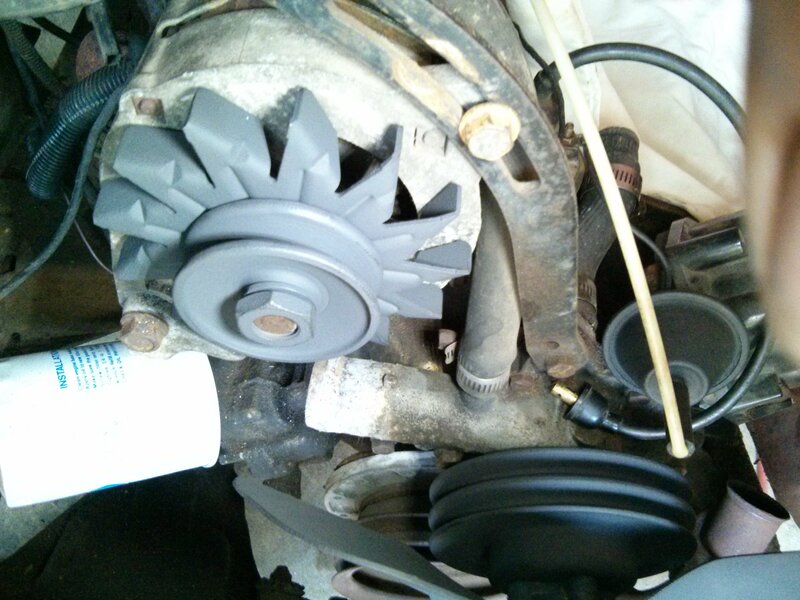 The engine fan and water pump pulley were easy to remove. 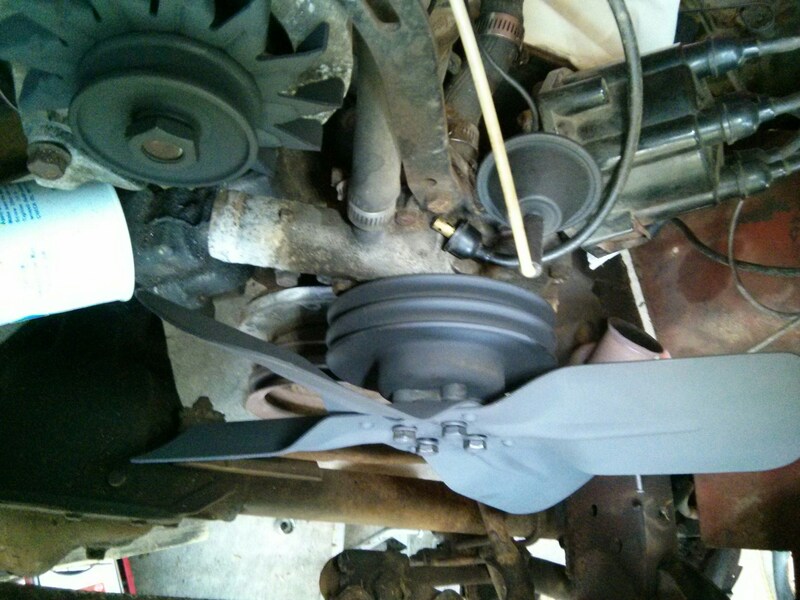 The alternator pulley and fan were more of a challenge. 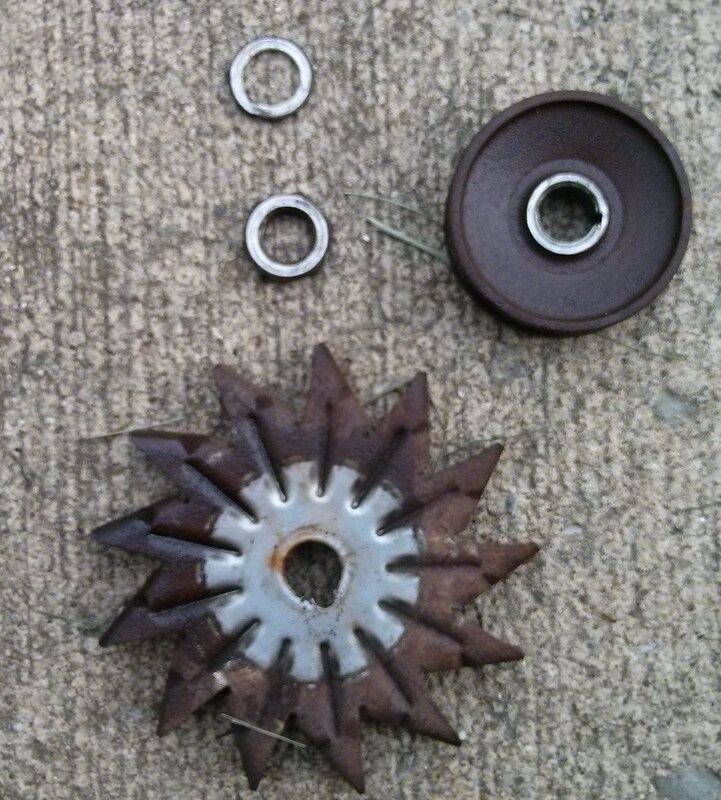 I got the nut off the shaft with an impact wrench. To get the pulley off I had to use this rig. 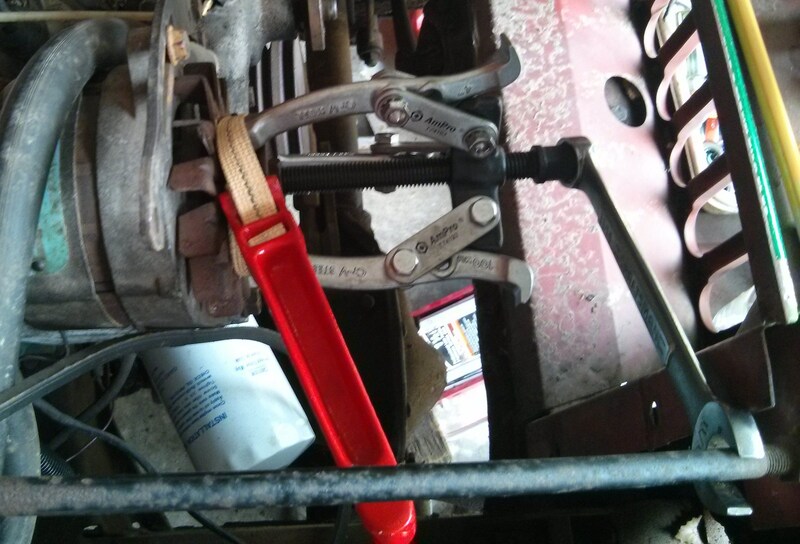 This is a three-jaw gear puller being held to the pulley with a strap wrench. It took all 3 of my hands to use this mess but it worked. Nothing too bad. Just surface rust. A wire brush in my drill press is the tool of choice here. 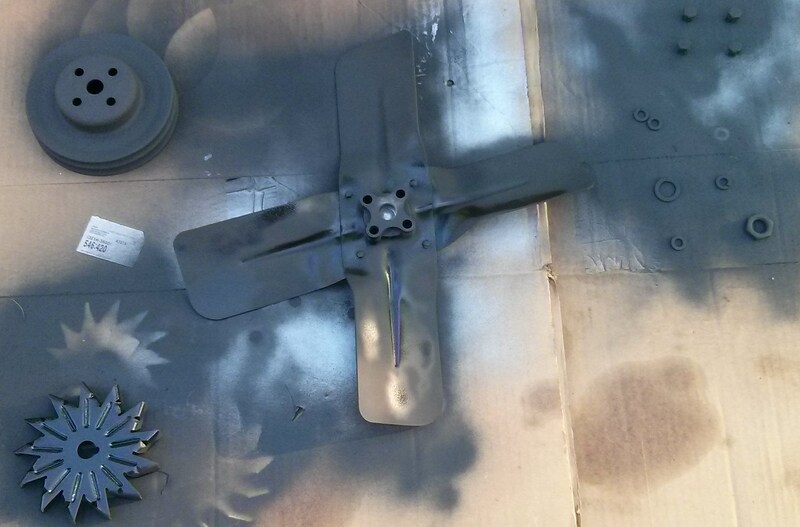 After much wire-brushing and a good de-greasing the parts were ready for paint. I am on my third can of brake cleaner spray on this project with no end in sight.